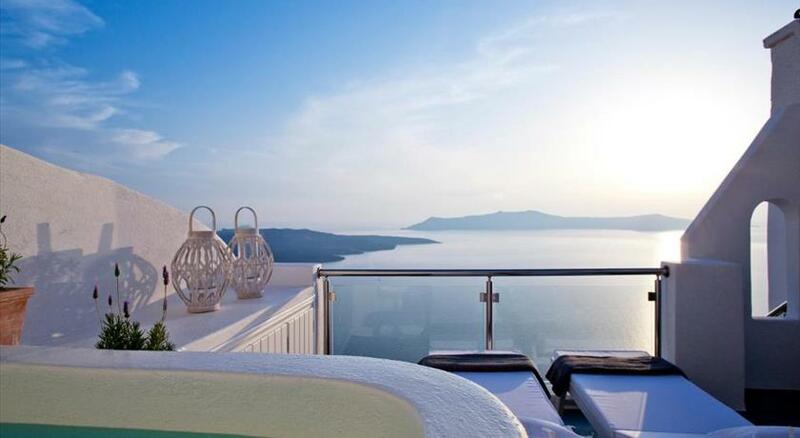 Perched on the volcanic cliffs of Fira, Azzurro Suites offers accommodation with views over the caldera and the Aegean Sea. 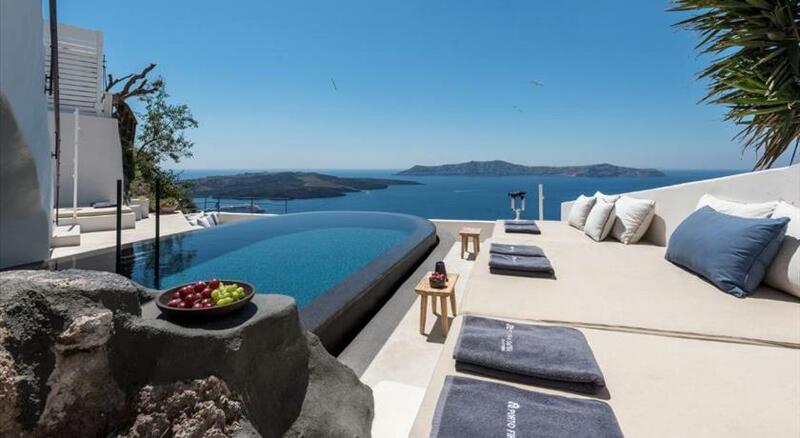 It has an infinity pool and a lounge bar at the top of the property. Free WiFi is available. Suites at Azzurro are minimally decorated opening out to private balconies. They come with a satellite, flat-screen TV, electric kettle, minibar and air conditioning. Bathroom facilities include hairdryer, free toiletries, bathrobes and slippers. 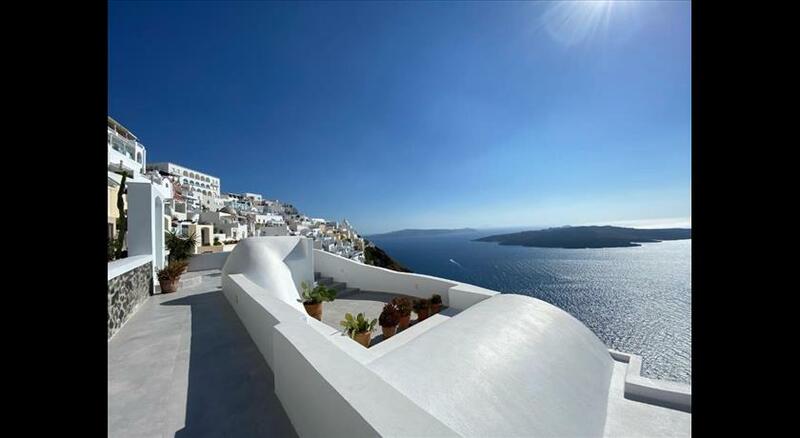 Azzurro is just 5 minutes drive from the centre of Fira. 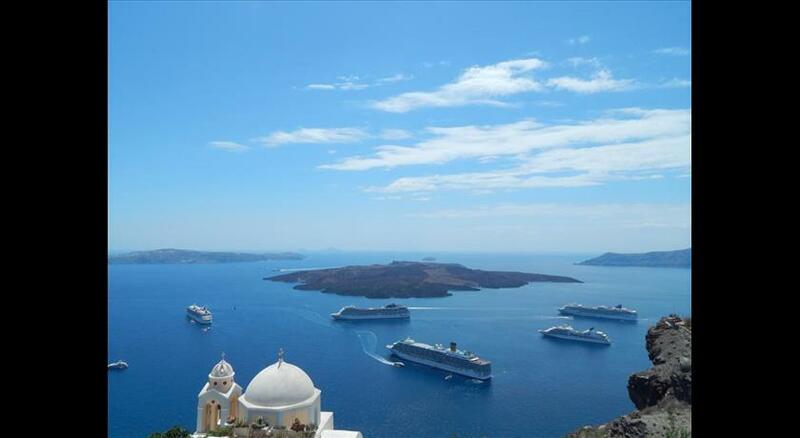 The nearest bus stop can be reached at 600 metres, while Santorini Airport is 5 km away. Free parking is possible near the premises. Children older than 12 years are welcome. Children's cots/cribs are not available. Extra beds are not available. There is no capacity for extra beds in the room. Please inform Azzurro Suites in advance of your expected arrival time. You can use the Special Requests box when booking, or contact the property directly with the contact details provided in your confirmation. Please note that the guests will be requested to present the credit card with which the reservation has been made or a third party authorisation form if the card is not available.